If the nature of your business requires a substantial amount of driving from you or your employees, perhaps the time’s come to purchase a company vehicle. For some business owners, owning a company car conveys prestige and success in the eyes of their customers and competition. However, rushing to buy a car before you need it or before you’ve considered all the factors might be a foolproof way to drain your company of cash in its early days. So, here’s an elaborate list of company vehicle buying tips. What Does It Mean to Afford a Car? Once you decide you need a business vehicle, you’ll need to decide how to pay for it. If you don’t have the cash ready, you’ll need a loan. For a small business owner, it implies completing a commercial credit application, which also requires a personal guarantee, probably yourself. Alternatively, if you think you’d have trouble getting a loan, leasing is also a good option, as it requires much less money upfront. When applying for a loan, lenders will evaluate your company’s credit rating, as well as your credit rating as a guarantor. If you’ve never applied for business credit, start by getting at least one company credit card, and use it for purchases. Prompt monthly payments will establish a track record and start building your credit. While there’s no magic formula to come up to the decision, every business situation is different and needs to be considered as such. 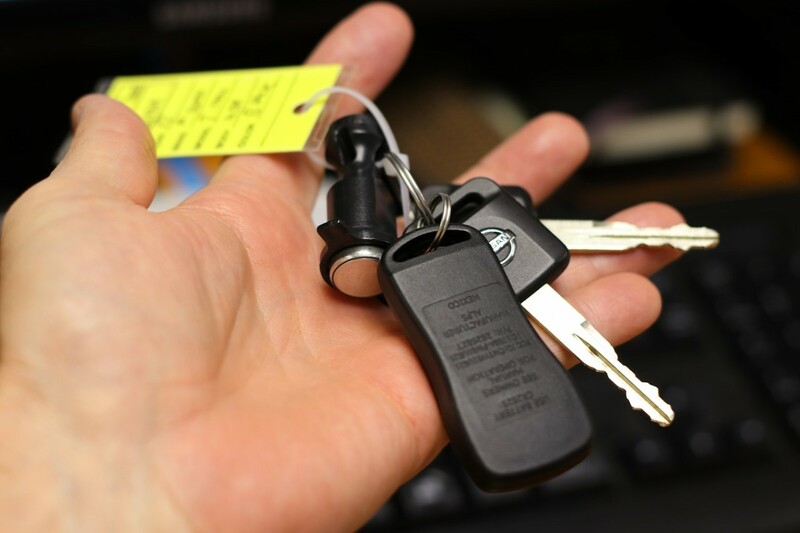 One of the most important factors in leasing a company car is how long you plan to use it. If you expect to put a lot of miles behind you, you’ll probably want to turn it in sooner than later, which implies a lease is a better deal than purchase. Also, mileage is an important cost and must be accounted for. Company cars are usually used more than personal cars, which can increase maintenance costs. The best course of action is to calculate for both leasing and buying, including the cost of the lease and the loan, expected mileage, maintenance and upkeep. Finally, consider the value of your car at the end of the lease and the ownership period. Like other vehicles, company cars must be insured to meet at least the minimum insurance requirements for your state. Unlike private owners, businesses are responsible for their vehicles, as well as the employees who operate them. Also, most fleet and company car policies insure every employee whose job description includes operating a vehicle. Due to all these reasons, it’s highly advisable that you purchase a better car insurance that doesn’t only cover accidents, but also natural disasters, fire, theft and damage to someone else’s property. It’s nothing new that when the economy loses momentum, the automotive industry cranks out the offers, cutting down on sticker prices and offering attractive loan term. If your business manages to remain strong during one of these crises, it would be a perfect time to go for a deal on a new car. When it comes to the ideal part of the year, December and January are the best months for car deals. After the new models have been revealed in the autumn, the dealers are putting the current models on sale. If any of these is still taking the floor space in the showroom, dealers will be desperate to have someone take it off their hands. With the Internet at hand, it’s never been easier to shop for a vehicle, or compare features on several models to see which one suits your business the best. Websites like Consumer Reports and the carmakers’ own sites often provide information on car safety and repair records, while browsing the classified listings will show you the available models in your city. In addition, most dealers run websites where they post available cars along with their prices. Although the site information might change quickly, it will give you an idea which dealer in the area has the best prices. Probably the biggest benefit of owning a business car is the cost savings from tax deductions. This tax deduction works in two ways: the deduction for the car ownership and the deduction for costs of driving the car for business purposes. If the company is the owner, the cost of the car as a business asset and the costs for business use are fully deductible from business taxes. If the owner is an employee, the cost of the car isn’t deductible as an asset, but may be deductible as a part of itemized deductions if they exceed 2% of adjusted gross income. Before you jump into buying a company car, make sure you’ve considered whether your personal car is sufficient to keep up with your business needs, if there are any tax advantages, and whether you’d interrupt the current cash flow needed for your expansion. Lucas Bergman is a real estate agent and renewable energy consultant with many hobbies and passions, but above all, he enjoys the most spending time with his wife – Mara. He also likes Lord of the Rings. He, actually, very much likes Lord of the Rings. He is a regular contributor at smoothdecorator.com.